Let us be fair and admit that we are only reviewing one track from this upcoming record set to release in a few months. With all of that said,. 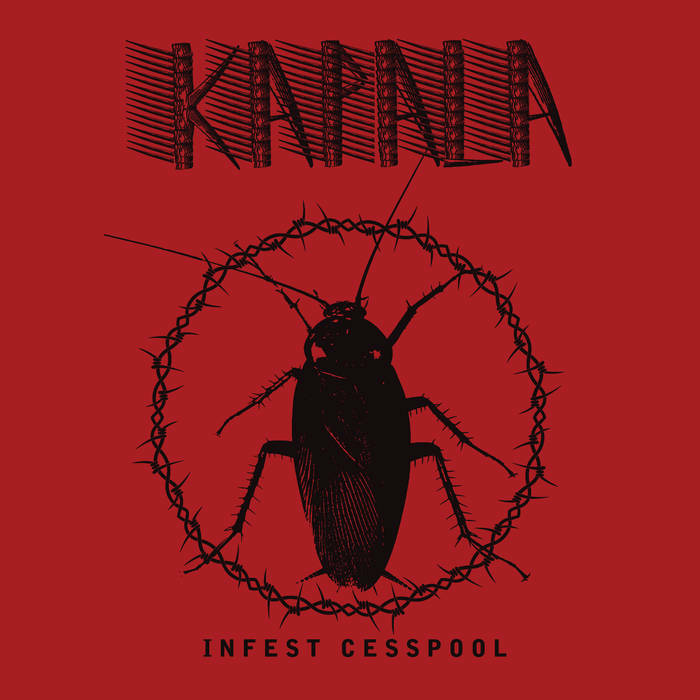 the debut track from Kapala’s Infest Cesspool is chaotic enough to catch attention. Somewhere buried under heaps of trash, vermin, and shattered glass is a bestial black / death band that is playing music like there is no tomorrow or are hoping for no no tomorrow. “Homosapiennihilation” is very clear in its orthodox views on the annihilation of nearly everyone and with this music I am sure they are taking steps towards it. 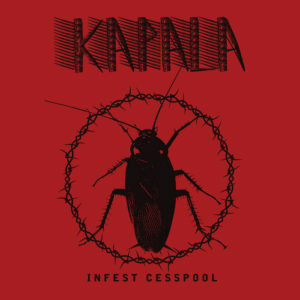 Infest Cesspool is a continuation on courting the fringes of extreme metal, noise, and power electronics. While Kapala’s black death uses noise as cosmetics, the ferocity and abject horror present is enough to put it in nearly the same neighborhood. While there still are a few more tracks to be released, I can safely assume we will not be hearing bossanova.